Well, we're having quite a day around here, a croup-y kinda day. Elliot is full of the sicks and though the big boys aren't exactly top notch, they're okay and not so very sad like their little bro. Despite all of that (and a terribly dismal day outside), I'm finding a few things here at home that are making me smile. 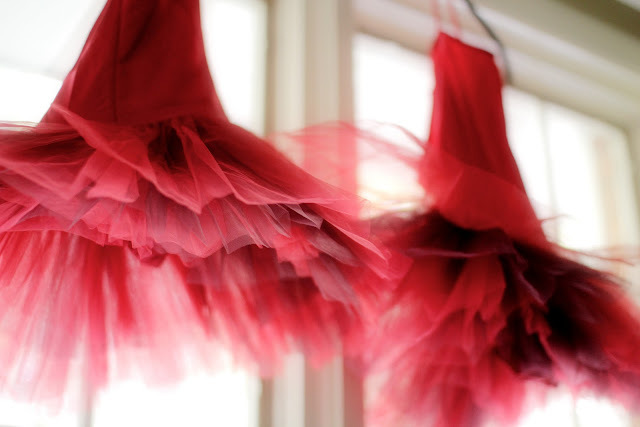 Firstly, these red tutus hanging in my bedroom window, looking so very pretty! 16 of my ballet dancers will be wearing these in their Christmas production and they're my favorite costume of the entire show (which is saying a lot, as there's a completely sequined little number too :). 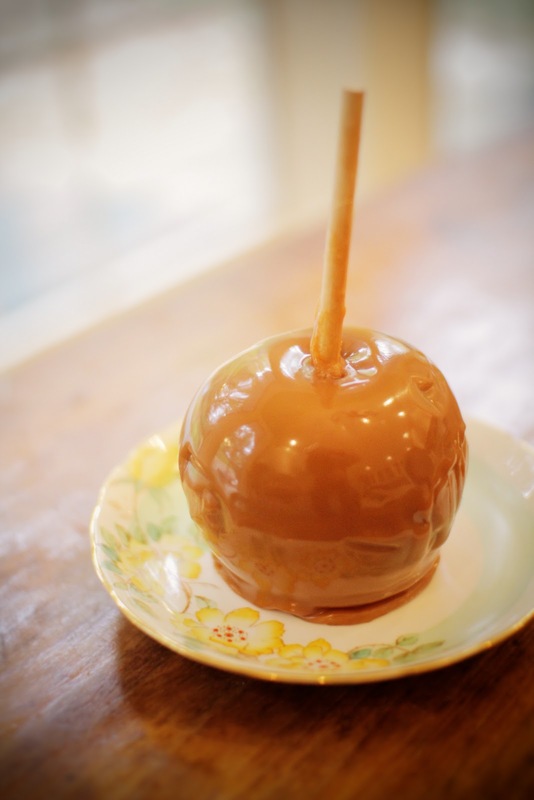 Been munching on a caramel apple this afternoon ... hmmm ... fall. Made this amazing crock-pot meal a couple of nights ago. The huz and I love Italian sausage and I often end up cooking with it a couple of times a week. We've found that we prefer the taste of red meat dishes made in the crock pot to chicken dishes, as the chicken flavor is altered so much in the slow cooking process (unless it's just a result of the recipes I've tried). I adapted this recipe a little and substituted baby bella mushrooms for the called for orange pepper, as they were on sale and we love mushrooms. The result was a spicy pasta dish with tons of flavor. 1. Heat oil in skillet until hot. Add garlic and onion, and cook until translucent. 2. Cook sausage until beginning to brown. Transfer to crock-pot. 3. 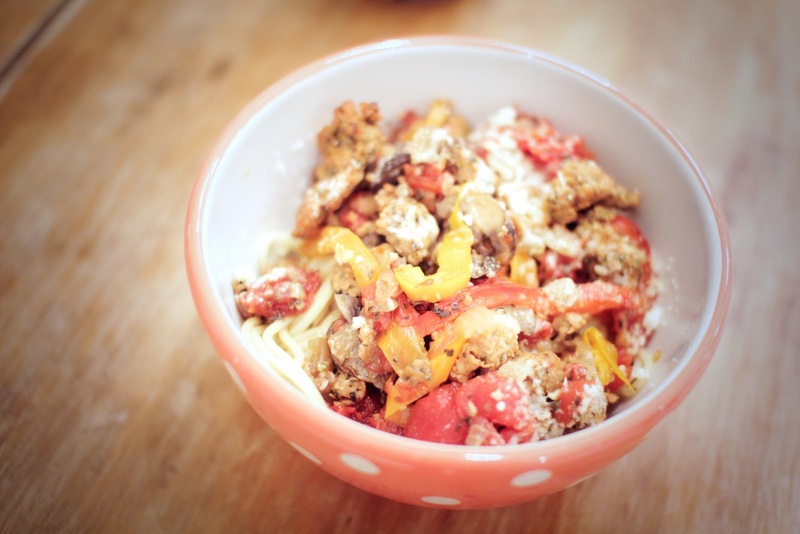 Add tomatoes, bell peppers (mushrooms), basil, pepper flakes, salt and black pepper to crock-pot and stir to blend. Cook on hight 2.5 to 3 hours, or until peppers have softened. Adjust seasonings to taste. Serve over pasta.